Our last One Book panel discussed the ways people can nurture their Body, Brain, and Well-Being. Panelists shared the importance of activities including volunteering, exercise, strategic games, and staying in touch with a health care provider. The importance of friends and social activity was highlighted throughout the night. 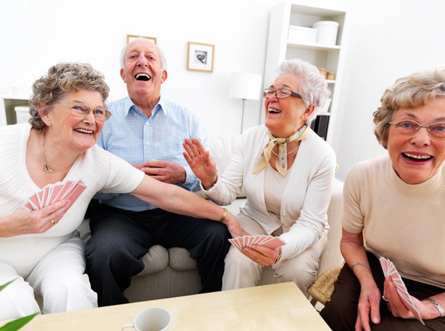 Many benefits of maintaining a social life include developing friendships and relationships with people who know you and care about safety in your home environment. A healthy social life prevents isolation which can lead to depression and can battle anxiety, reinforcing the awareness that good people exist. Some people are blessed by living with or near immediate or extended family. For people who have no family near, or at all, a social life helps them form their own family. As people age their social lives naturally shrink as peers pass away; to maintain a social life and its benefits it’s important to “make younger friends!” (exclaimed one panelist). St. Mary’s Senior Companion Program benefits seniors who need help and are able to help others (call # under Contact for more information). In addition to introducing social environments to seniors, volunteering helps people keep their minds sharp, provides an outlet for interests and skills, and gives purpose to people once they retire or are trying to find a role beyond “parent.” For more information on volunteering opportunities for seniors, contact Mesa County RSVP (Recruiting Seniors for Volunteer Positions). Bridge (and other strategic games such as pinochle and canasta) keep the mind sharp. New brain cells are continually developing; it’s important to stimulate them! In addition to fulfilling our need for some friendly competition, group games exercise visual and auditory senses as well as short- and long-term memory. During the program it was noted that Warren Buffett, Bill Gates, and a number of other extremely successful people play bridge. If you would like to get involved with other bridge players, visit the Bookcliffs Bridge Center. One way to keep physically healthy is by joining Powderhorn’s Young at Heart skiing program on Thursdays for people who are at least fifty years old. Currently, there are even skiers who are 84! This is an inspirational crowd with seniors skiing as well as they did when they were younger, despite knee and hip replacements. Dr. Rick Walker brought all of these aspects together by speaking to the importance of mind, body, social life and environment. Of course, being in touch with a physician is an important aspect of making sure one’s mind and body are receiving the care they need. When asked what he does to stay young now that he is retired he replied that he enjoys Colorado Mesa University’s Golden Scholars Program. As you age (or as you help find ways to keep your parents active), find outlets to keep your mind strong by doing things you’ve always enjoyed and by learning new activities. Develop your relationships and make sure to maintain a social circle.